If you are looking for one of Dublin’s best bars, try Lemon and Duke, the newest bar from the owners of the Bridge 1859. Lemon and Duke is nestled in the corner of the Royal Hibernian Way on Duke Lane. 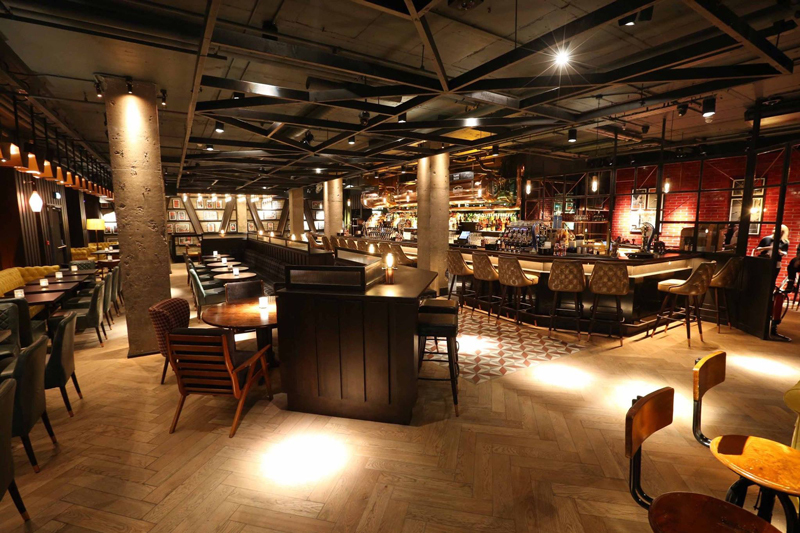 The building has been totally transformed into Lemon and Duke, a gastro pub with an urban feel. Lemon and Duke interior was designed by O’Donnell O’Neill Design. The atmosphere of this gastro pub is both trendy with its use of copper finishes and the full height windows and classic with the exposed brick walls and the oak floors. Lemon and Duke is not just another Cocktail Bar Dublin is home to. It is about serving delicious food and a wide range of drinks suited to all stages of the day. During the morning and afternoon, breakfast and lunch are served with great coffee at this gastro pub. Once night falls, the Lemon and Duke turns into one of Dublin’s best bars with its sophisticated feel, and its extensive, sophisticated drinks and dinner menu. Being owned by the same owners as The Bridge 1859, Lemon and Duke is the only other place where you can enjoy a glass of fresh unpasteurised Pilsner Urquell, which is stored in a unique tank system. Lemon and Duke is also home to a wide variety of bottle and draught beers, and an impressive cocktail list. All the drinks that are offered at Lemon and Duke have been carefully selected so there is something for every taste. Lemon and Duke has opening hours that make it stand out from the other Cocktails Bars Dublin is home to. This gastro pub is open every day from 10am when they serve pastries and coffees, to 10 pm. The lunch menu is served from 11am to 3pm, continuing into the dinner menu running from 3pm to 10pm. Lemon and Duke has quickly become one of Dublin’s outstanding bars. Being a gastro bar, both the food and drink menus are high quality and unique, compared to other Cocktail bars in Dublin. If you are looking for a classy spot for a few drinks with friends or are looking for delicious food at any time of the day, Lemon and Duke is the new place to be.